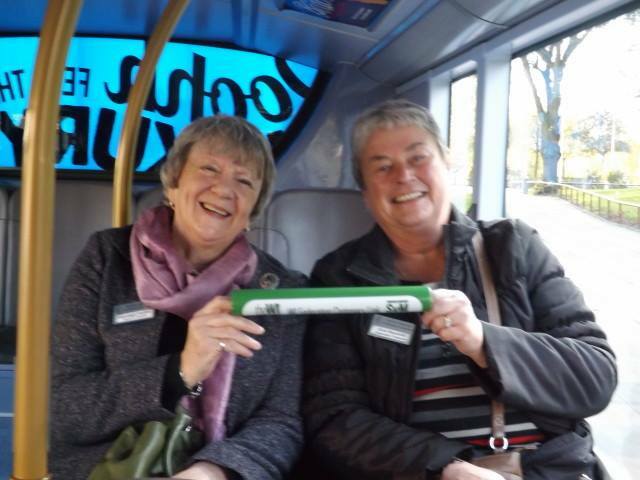 Centenary Baton Watch! … Norfolk | Crowlas & Ludgvan W.I. 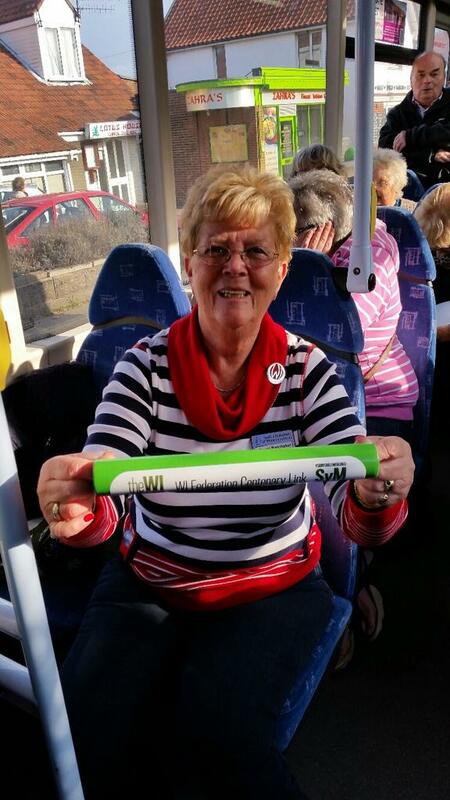 This week the baton has been in Norfolk! 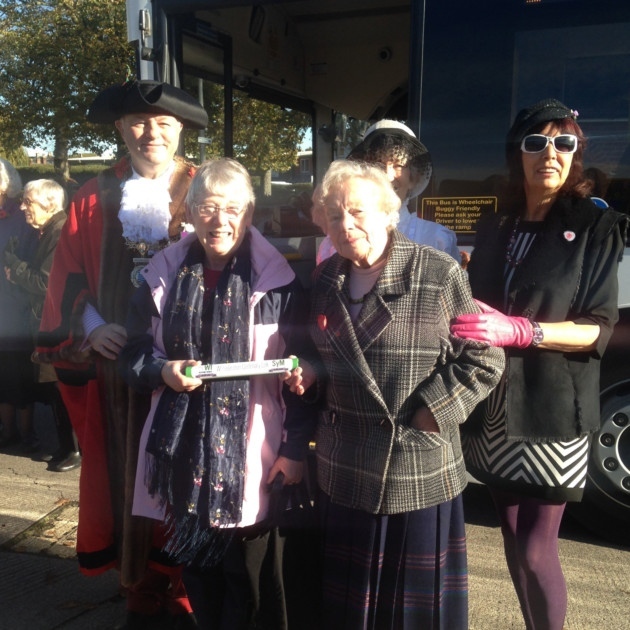 In Diss, 93-year-old Hilda Corbitt, who has been a WI member since 1952, received the baton from Norfolk Federation Chairman Wendy Adams. 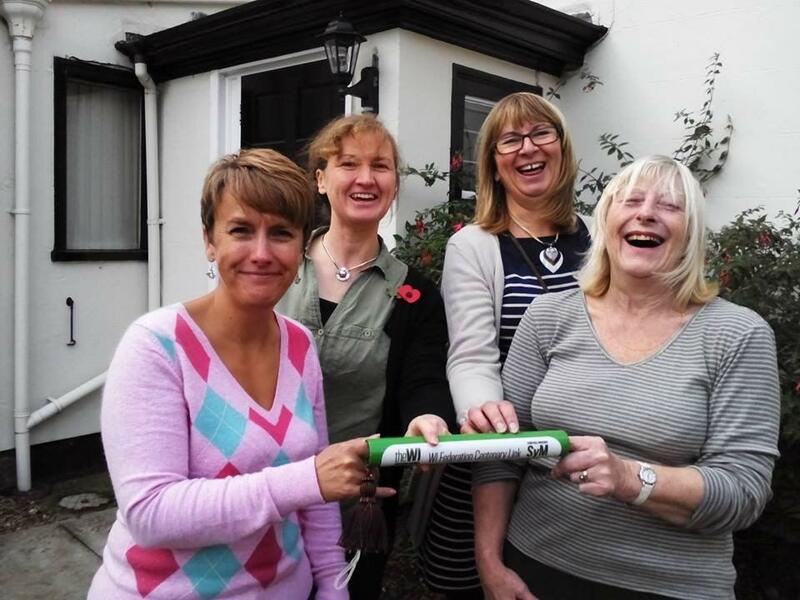 Diss Mayor Keith Kiddie; Wendy Adams, Norfolk Federation Chairman; WI member Hilda Corbitt; Diss WI President Sue Morgan’ and Diss WI Vice President Suzanne Ferguson. 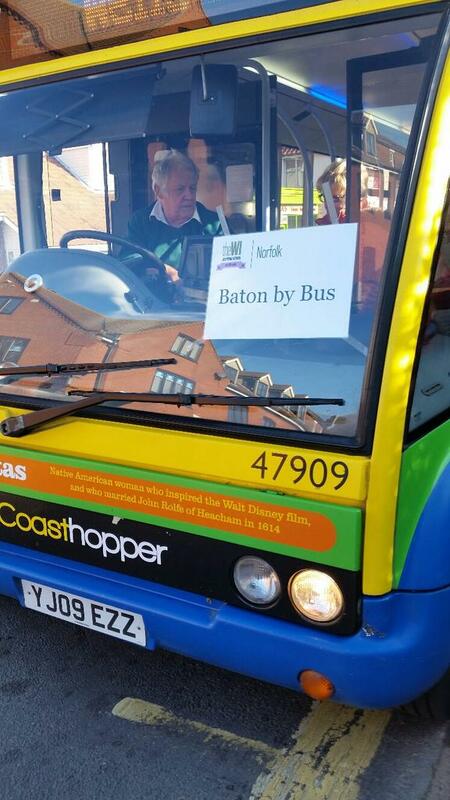 The baton traveled in style from King’s Lynn to Cromer on the Coasthopper bus! 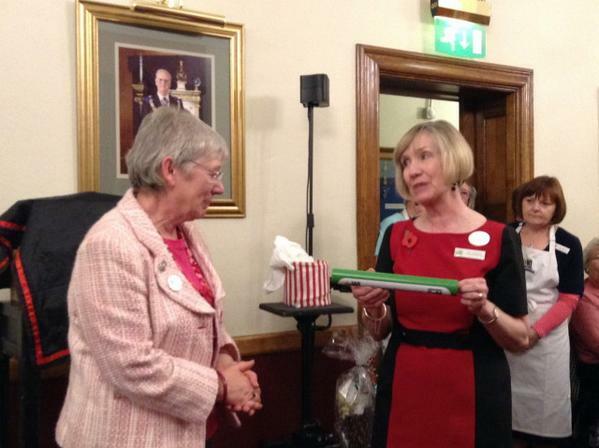 The Norwich All Saints WI gave the baton a very jolly greeting! 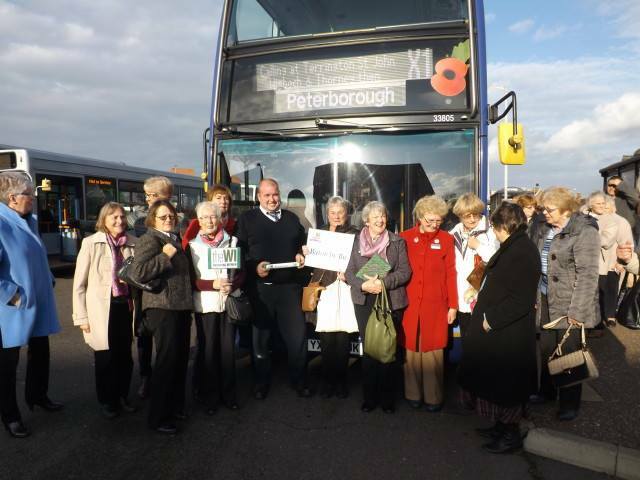 Before leaving Norwich, the baton had another bus trip, taking the X1 bus from Yarmouth to King’s Lynn. 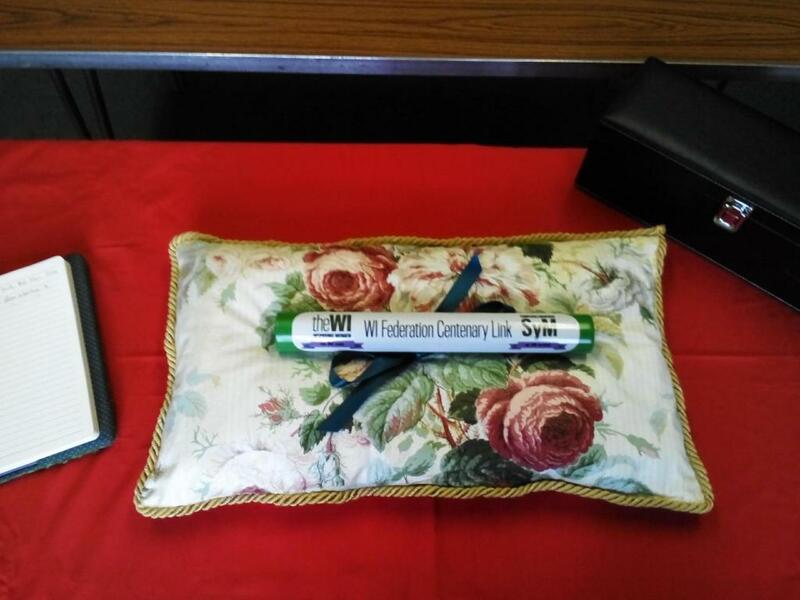 This entry was posted in Uncategorized and tagged baton, centenary, Norfolk. Bookmark the permalink.